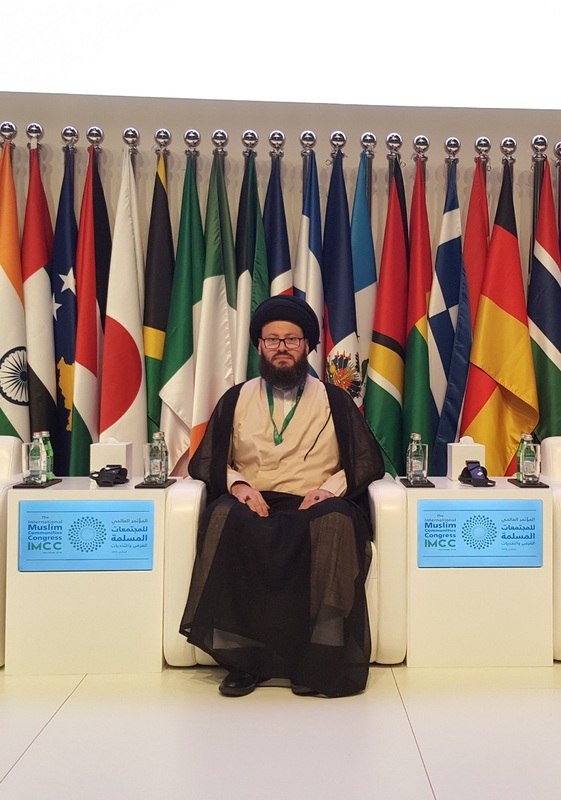 • الموضوع : Tips and guidance provided by Dr. Mohamad Ali El Husseini at the World Conference on the Muslim Minority in Abu Dhabi . - It is the right of the Muslim minority to practice their religious rites in moderation, provided that this is not done in a way that is provocative or provocative to the majority with certain acts, words and dress. - Emphasizing an open religious discourse that gives a good image and a beautiful example of Islam with a reassuring speech to others away from intimidation. - There is a need to raise awareness and sensitization of the Muslim minority against organized crime, in addition to visiting prisoners and communicating with them out of their support, especially since the majority of the prisons are Muslims so as not to be vulnerable to the recruitment of extremist terrorist groups. - To guide the Muslim minority to love their new home countries and loyalty to them and to abandon the idea of ​​revenge and revenge from colonialism. - The Muslim minority should benefit from the experience of the Jewish minority in terms of the ability to integrate within the majority through influence within the political parties and the media and economic fabric. - The Muslim minority must refrain from establishing political parties, because it poses a great danger to them, so they must distance themselves from them. The insistence of the Muslim minority on its full privacy exposes it to isolation and confrontation with the majority. Therefore, it must engage positively in the majority society and participate in it, while preserving its identity, which strengthens culture in society and diversifies thought. - The Muslim minority in the world must be aware that there is also a Christian majority, that it must take into account and does not do what it is forced to do.